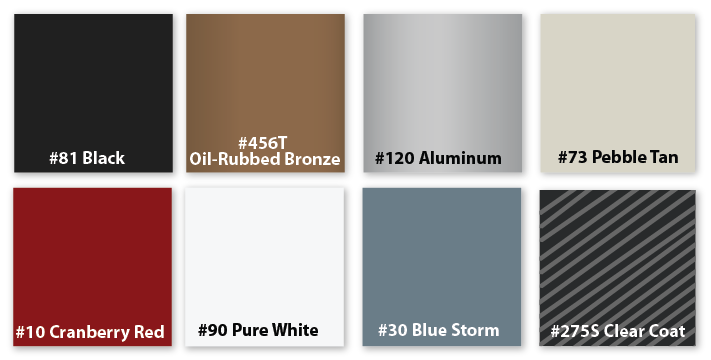 Richard-Wilcox offers a full range of high-quality flat track door hardware for a variety of applications. 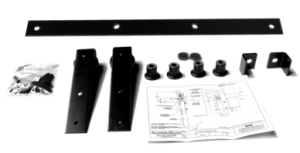 Each flat track kit accommodates 3-, 4-, 5-, and 6-foot openings, and includes the appropriate length of track, a pair of hangers, spacers, end stops, and fasteners. 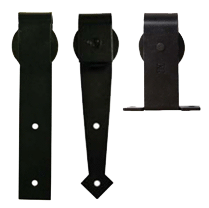 Traditional, decorative arrowhead and top mount hanger styles are available, and customers can choose from a number of powder coat finishes on their hanging sliding door hardware. Also, choose from one of our two styles of hangers—hanger kits with black zinc plated wheels (400 lbs. 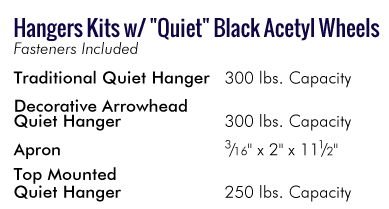 capacity), or black acetyl quiet wheels (300 lbs. capacity). 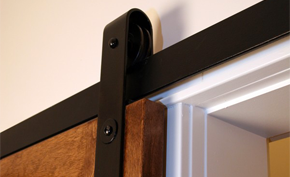 Richards-Wilcox sliding door hardware features a flat track mounted over the door opening; the hanger assemblies attach to the front or top of the door and they ride on flat track for smooth operation. Our flat track barn door hardware has a contemporary look and provides the utmost in safety, with anti-jump blocks and floor guides to ensure the door and hangers seat correctly on the track. Where space is a consideration not permitting a single large sliding door, we also have bi-parting sliding hardware kits for double doors (bi-parting) in the same 3-, 4-, 5-, and 6-foot openings. 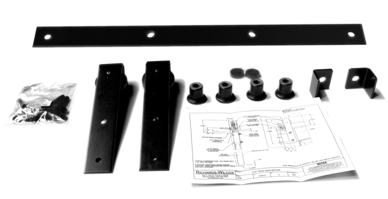 Flat track and hangers are also available as separate components with track lengths up to 12 feet. Another series of flat track has a capacity of up to 800 lbs and can be ordered as components to make a complete system. We also sell individual parts and sliding door accessories such as guide rollers, flush door pulls, bow handles, binders, fusible links, door holders, door latches, weather-strips, and guide roller strips. For heavier duty commercial door applications there are eight different series of sliding box door track systems based on capacity. This is more than any other door hardware company offers. These range from the 400 lb up to 5000 lb .capacity and must be paired with suitable hangers to match the system. Box track lengths in these series are much longer as well. 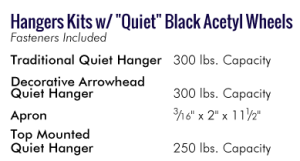 For more information, send us a message online or call 800-253-5668, extension 4678. Three styles of Richards-Wilcox Decorative Hangers lend a unique look to sliding door flat track kits of light to medium duty capacity from 250-400 pounds. Choose the front mounted Traditional or Arrowhead Hanger Designs or the Top Mount Hanger all of which are finished in durable powder coat. 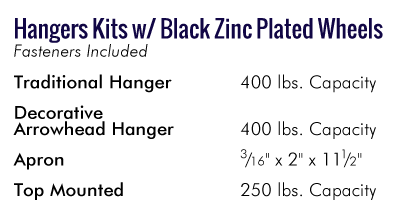 Kits come in two styles of hangers and each offer low friction for smooth operation and long product life.